Wolf Line Construction management attended the IEEE Transmission and Distribution Conference in Denver in April. The conference attracted over 10,650 attendees and is known to be one the most well attended conferences in the utility industry. 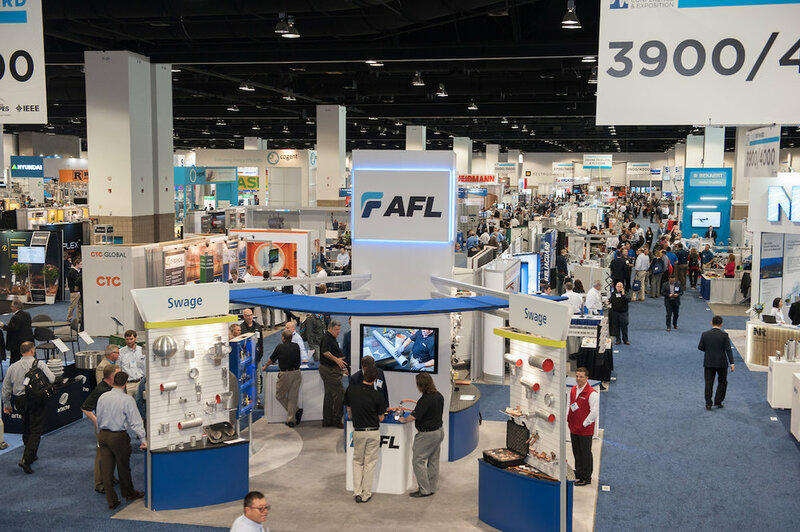 Tracking new engineering innovations, broadband network opportunities and meeting old colleagues were some of the great reasons to be in Denver for the event. WLC promotes and maintains employee professional development. Attendance at events such as these aligns with these core values. Installing ADSS in the energized space requires technically competent people. Attendance helps improve our understanding of current and upcoming technology, which allows us to better service our clients. IEEE Transmission and Distribution Conference showcasing engineering innovations, broadband network opportunities, and sharpens our ADSS installation skills.